You are your baby’s first and best teacher! It is never too early to start to learn language. These first years are so important but can be so difficult to navigate. Our specialists have expertise in working with you as your baby’s first and best teachers! We will help you manage hearing aids, but more importantly, help you learn how to use daily activities and play to teach your baby to listen and eventually to talk. 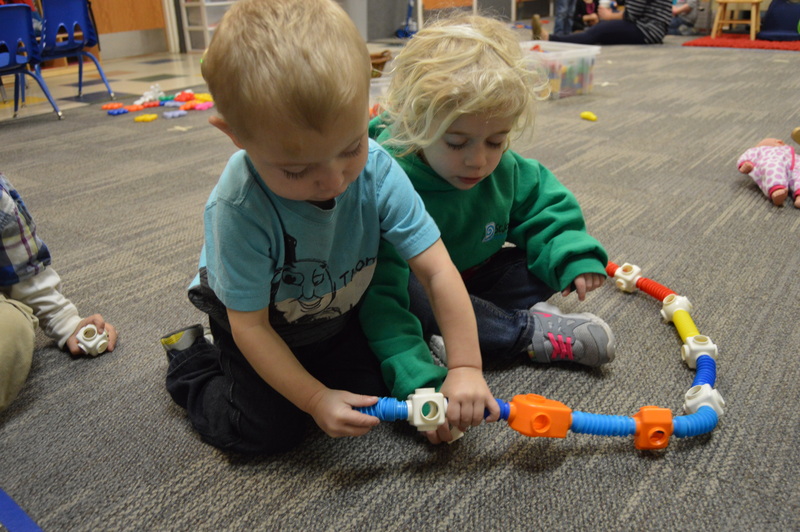 As providers through Indiana’s First Steps program, our specialists will come to your home or child care center to help build the foundation for a lifetime of language! St. Joseph Institute works directly with the State of Indiana by partnering with The Center for Deaf and Hard of Hearing Education (CDHHE) to provide listening and spoken language opportunities for babies and young children with hearing loss across the state of Indiana. Call us today at 317-471-8560.